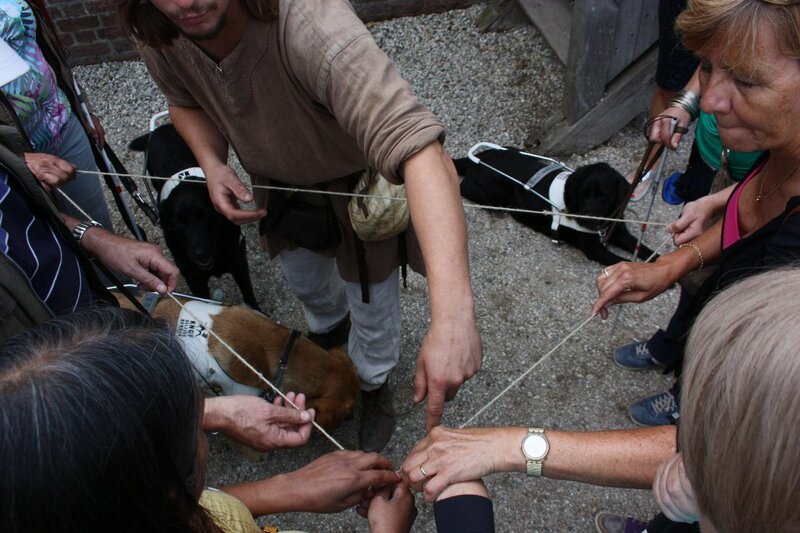 On September 1st 2013, as part of the ongoing Dialogue with the Visitor, Archeon was host to a large group of visually impaired visitors. For the occasion, a special park guide was produced in braille. However, the rest of the day was conducted as an everyday visit to Archeon, to test how accessible the park is to the visually impaired. Archeon passed with flying colors. The visually impaired visitors went through the three time periods and listened for the sounds of animals or craftspeople at work, smelled the scent of fresh bread and woodsmoke and touched as many historical replicas as possible – including a ‘dead’ gladiator! While not organized as part of the OpenArch project, the results of their visit are very enlightening in regards to catering to the visually impaired.